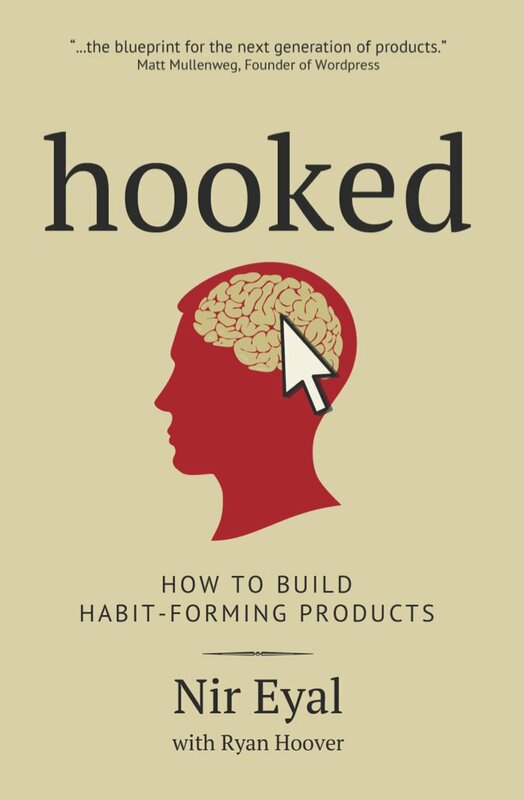 The hottest book in Silicon Valley currently is Hooked: How to Build Habit-Forming Products by Nir Eyal, and for good reason; it is an incredibly valuable book for building a business. As Eyal points out, amassing millions of users is no longer good enough. Companies’ economic value is a function of the strength of the habits they create. User habits become a competitive advantage. Products that change customer routines, where users become hooked, are less susceptible to attacks from other companies. Users who continually find value in a product are more likely to tell their friends about it. Frequent usage creates more opportunities to encourage people to invite their friends, broadcast content, and share through word-of-mouth. Hooked users become brand evangelists: Megaphones for your company, bringing in new users at little or no cost. Habit-forming products change user behavior and create unprompted engagement. The aim is to influence customers to use your product or play your game on their own, repeatedly, without relying on overt calls-to-action such as ads or promotions. Once a habit is formed, the user is automatically triggered to use the product during routine events such as waiting in line at Starbucks. 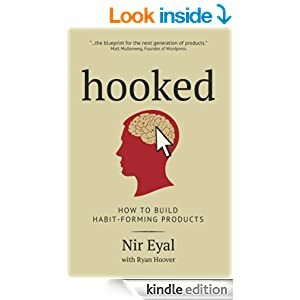 Eyal uses the Hook Model to show how to create a product or game that become habit forming for users, that have a long term competitive advantage and are more likely to generate word of mouth. 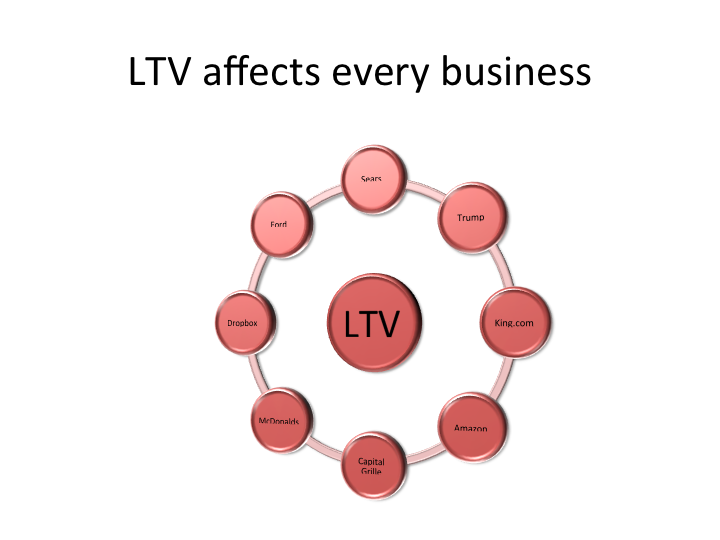 I have written many times about customer lifetime value (LTV), but primarily from a theoretical framework. In this post, I will use Groupon to exemplify many of the key principles at work with LTV. Groupon is very well known, particularly in the United States, as a coupon or discount-deal website that normally offers 50 percent off deals with local merchants, particularly restaurants, spas and similar retailers. Started in 2008, it went public in 2011 and currently has a market cap over $4 billion. One of the biggest issue Groupon has run into the is the perception that most retailers who run Groupon promotions find them highly damaging, and there are frequent stories of Groupon promotions that have put companies out of business. It is easy to see how this could happen, as Groupon typically gives customers a 50 percent discount and then keeps 25 percent of the remaining funds. Thus, a retailer only sees a total of 25 percent of the normal revenue they would from the consumer if the person had made the purchase without a Groupon. Since most retailers do not have a 75 percent margin, they will lose money on the Groupon. Moreover, because of Groupon’s strong distribution, they may lose a lot of money. If a retailer, however, understands customer lifetime value, it can make the right decision about the value of offering the Groupon and whether it is a positive to their store. 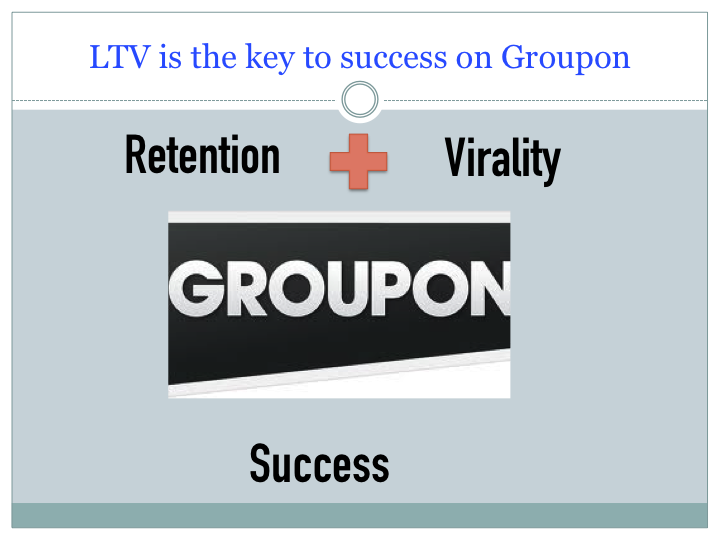 The first element of LTV that is crucial to Groupon success is retention. If people normally come to your business once and never come back, the Groupon is not going to work. You will lose 75 percent of the check or bill and never see the customer again. Conversely, if once you get a customer they come back twice a week for six months, then the Groupon is a great marketing tool. While you will lose money on the initial transaction, you will have 48 (2 times per week, 4 weeks per month for 6 months) more profitable transactions, which will more than cover the loss. As I discussed in my post about retention, retention is the key to success in any business and the Groupon examples shows the impact of weak versus great retention. Virality is also a key to the success of a Groupon. If people use the Groupon deal but do not tell friends about it, then the Groupon must generate enough lifetime revenue from that user to be a new positive. While this is possible, it increases the risk that the Groupon initiative is not successful if you do not have strong retention. If you create, however, an experience that people tell their friends about, and then their friends try your establishment and you can retain them, the value to you of offering the Groupon increases dramatically. I have written before about how to create strong word of mouth, and it is more than just offering a good product, but if you follow the STEPP model (create a product or offering with social currency, triggers, emotions, practical and public) and users bring in more users, the Groupon can have tremendous impact. Let’s say someone buys the Groupon and comes into your store. Because of the discount the purchase is a net wash and the consumer value is no more or less than the cost of servicing him/her with the Groupon. If, however, the consumer persuades five friends to also visit, and each of those friends adds $20 of profit, then the Groupon has generated $100 in profit for you. The other key lesson regarding LTV that is exemplified by Groupon is the necessity for understanding different segments of your user base and how Groupon users fit into these segments. Many establishments (let’s use restaurants for this example) have found out that Groupon users do not fit the same model as their other customers. While they may normally see great retention and virality, Groupon customers just go to wherever they have a coupon and do not revisit or talk about establishments. Thus, a restaurant may normally have a very high LTV for a typical user, say $100, so if the Groupon cost them $50 per user, long-term they would still make $50 from the promotion. However, if the Groupon customer exhibits different traits and only uses the Groupon and never comes back, the restaurant loses $50 per customer. In many ways, Groupons can be looked at as the equivalent of incentive installs in the app space; while there is a role for this channel you must measure the value of these installs differently than other marketing channels. Thus, it is important to see how the Groupon demographic normally behaves for the establishment. If you expect the Groupon to generate male users with an average age of 25, with a low income, look at the LTV of that user segment when estimating the impact of the Groupon rather than the LTV of all your customers. Also, do a test (limited number of offers) and get data on how Groupon users perform compared with other marketing channels, and divert your resources where they will have the greatest yield between marketing cost and lifetime value. One thing that you will notice I did not discuss is the common practice of trying to trick users of Groupons into spending more to lessen the cost of the Groupon. You can adjust the amount of the Groupon so the typical session cost or restaurant check is not covered, the user spends more, and you either profit from the Groupon or lose less. This technique ignores the underlying issue that you are trying to build a business with a strong long-term stream of profits. Manipulating customers short term could pay a few bills or extend your runway a month, but unless you address the lifetime value issues you will be left with nothing long-term. Despite the popular Techcrunch piece, “WhyGroupon is Poised to Collapse,” Groupon is not a loan shark or other immoral business. Rather it is another marketing tool that advertisers will only use successfully if they understand and can optimize their customer lifetime value. If they have a low LTV, nothing is going to help. Their Groupons will fail, but so will their advertising in newspapers or online (or the guy wearing the sign outside the restaurant). If they can create customers with a high LTV, they will see a long-term positive net return from offering Groupons. Also notice how monetization is not the key driver here of success. It is less about how much you make or lose on the initial transaction that leads to program success, and more about how well you generate virality (and how good your virality is). Even if you improve your margin slightly, the impact of improving monetization tied to the Groupon will be much less than the impact of the other two variables (retention and virality) . Groupon promotions showcase the importance of LTV. Despite negative press, Groupons can be successful if you understand and can optimize your customer lifetime value. Your Groupon promotion will only work if you can generate strong retention or great virality. If customers come back or tell their friends about your business, then the Groupon will have a positive ROI. Monetization is not a big factor for Groupon success. A change in monetization may make the program cost less but long term success of the program and your business depends on strong retention and virality. I recently read about techniques Amazon CEO’s Jeff Bezos uses to create a great customer experience and one has really stuck with me as a brilliant way to get the whole organization focused on creating a product users love. It is something I am planning to replicate and it can help any company create products that delight users and get them to switch from competitors. According to the article, even during the fledgling days of Amazon, Bezos worked hard to establish the philosophy of a company that obsesses over their customers from top to bottom. 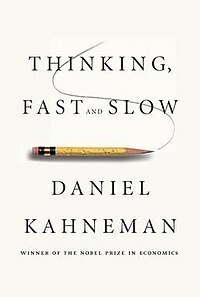 An overwhelming figure that used to always set the tone of his meetings was “the empty chair.” From the first days of Amazon, Bezos brought an empty chair into meetings and informed his top executives that they should consider that seat occupied by their customer, “the most important person in the room.” Throughout these meetings, a different weight was held on all decisions as the invisible but clear presence of the customer was always considered. First, features and new products are evaluated through the customer’s perspective. Think of all the products that have come to market, particularly technology products, that did not have a clear value to customers. Second, it keeps you from putting in features that are not in your customer’s or player’s interest. If people would be embarrassed to discuss a feature or new product openly in front of a real customer, there is a problem with that feature. Products that work against the customer will fail immediately or be replaced by a product consistent with the user’s interests, over time there are no secrets in product design. Third, if the product is an improvement or substitute for an existing good, the empty chair forces you to understand if you are creating enough unique value to prompt the user to switch. 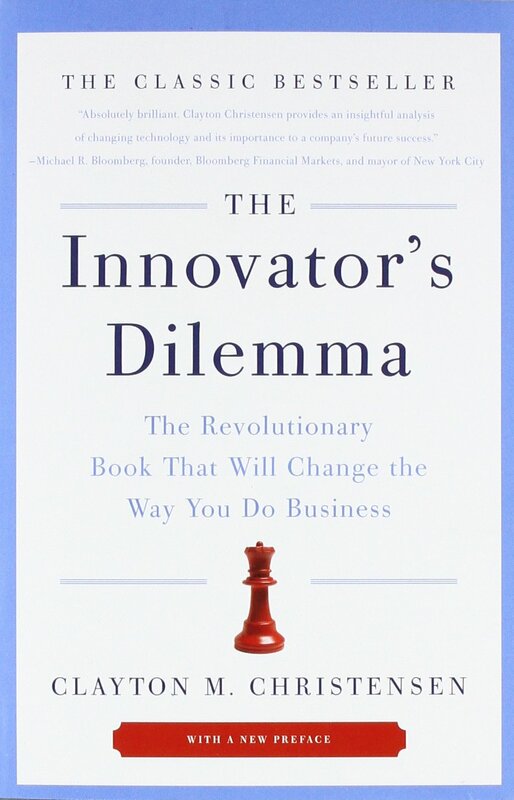 By having the customer in the room, you need to consider whether that customer would use your product and why they would switch to it from their current product. Given that a product must be 5 or 9 times better to get someone to switch, you can use the empty chair to determine if and how your new offering is that much better. I recently finished Toughness: Developing True Strength On and Off the Court by Jay Bilas and was surprised how many of Bilas’ ideas from sports were also relevant to success in business. There are many examples from sports that can help you be successful in business, and Bilas’ analysis of toughness is at the forefront of these lessons. 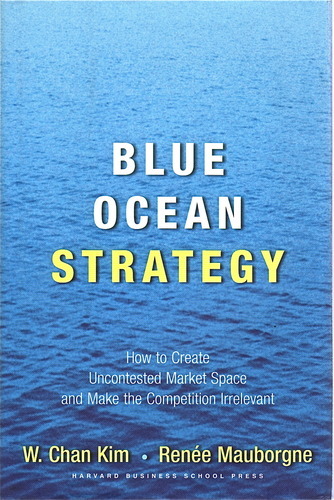 Since reading the book, I have asked my team to read regularly the article that led to the book. The underlying principle for Bilas is that toughness is not about bravado and conflict. It is found in the heart of an individual willing to devote him- or herself to what s/he knows is right. Toughness isn’t physical. It has nothing to do with size, physical strength or athleticism. It’s an intangible, an attitude, a philosophy.Toughness comes from how you handle your experiences, what you learn from them, and how others guide you through them in your life. Most importantly, it is a skill that can be improved by working on it. Bilas uses physical materials as a means of defining real toughness. In metallurgy toughness is a measure of how much energy a material can absorb before rupturing. Scientists have devised ways to measure a metal’s toughness through lab impact tests, such as swinging a hammer from a pendulum at a metal object to calculate how much energy is required to break the object. Hardness— in metallurgy, at least— is related to toughness, but it’s not the same thing. Hardness describes how much energy it takes to bend or change a material. Being able to bend under pressure without breaking is a more important attribute than hardness. Someone who bends without breaking and bounces back up will prevail over the “hard” athlete or person, i.e., someone who is resistant to bending under pressure but will break with enough force. Persevering, getting up when you have been knocked down, is what true mental toughness is. Soccer great Julie Foudy likens her spirit to a kids’ toy, an inflatable punching bag that pops back up when it is hit. True toughness is mental toughness, and has little to do with physical toughness. As we learned from metallurgy, it is mental toughness that makes a person, player or team unbreakable, whereas physical hardness can be more easily broken. Persistence is not just about pushing forward; it is about pushing through to reach a new height, exceeding a limit you thought you had . That takes mental toughness. Toughness is not about being big or strong, or being a bully. That displays the least amount of toughness. This is lesson number one for the entrepreneur: It is most important to take a blow and be able to bounce back.